Measuring 80x112mm, extremely fine condition with minimal scuffing and scratching. 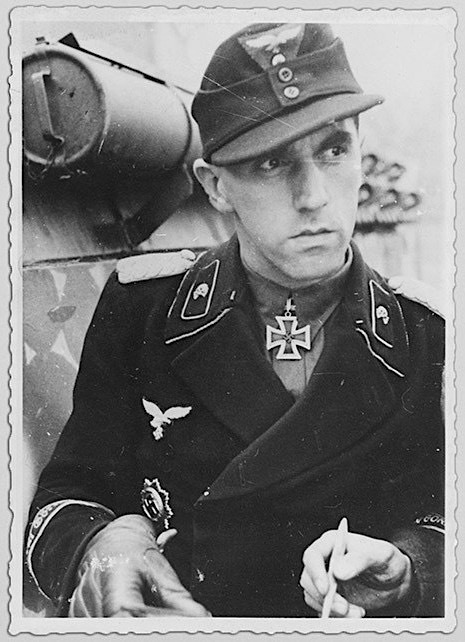 The picture shows Karl Roßmann in the rank of Major, wearing the German Cross in Gold and the Knight’s Cross, dating the picture to 1944 or early 1945. Footnote: Karl Roßmann was born on November 23, 1916 in Kempten (Bavaria). He joined Flak Regiment 5 on April 1, 1936 as a Fahnenjunker (Officer Cadet). On September 1, 1937 Roßmann was redeployed to the 2nd Battery of Flak Regiment “General Göring”. He became a Lieutenant on April 1, 1938. Two years later he was promoted to Senior Lieutenant. In early 1941 Roßmann took command of the 16th Battery with which he fought in the conquering of the central Russian city of Oryol. For this he was awarded the Knight’s Cross on November 12, 1941. 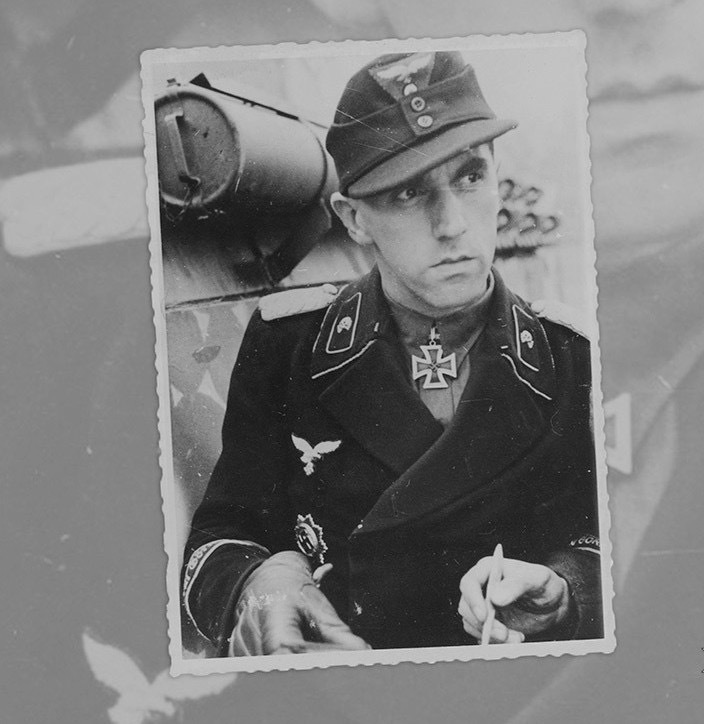 Later that year Roßmann and his unit were transferred to France. He was promoted to Hauptmann (Captain) on July 1, 1942 and became Commander of of the 1st Detachment of Panzer Regiment “Hermann Göring” with which he fought in Sicily and later the Italian mainland. His promotion to Major followed on January 1, 1944. In June Roßmann briefly took command of Reconnaissance Detachment “Hermann Göring” and was awarded the German Cross in Gold on March 20. But in October he went back to leading the 1st Detachment of Paratroop Panzer Regiment “Hermann Göring”. His next operational area was in East Prussia, at the Russian Weichsel (Vistula) bridgehead near Warka. Roßmann received the Oak Leaves on February 1, 1945. On March 1 he was promoted to Oberstleutnant (Lieutenant Colonel). Towards the end of the war Roßmann and his unit retreated across the rivers Oder and Neiße and surrendered to US forces to avoid being captured by the Red Army. Roßmann died on April 1, 2002 in Bad Kreuznach.